Rwanda Self Drive is recommended way to achieve a great African safari experience in Rwanda or Uganda, Plan your trip with Africa Holidays Safari for the best get around transfers in and our of Rwanda’s Capital, Kigali. With Africa Holiday Safaris, you can hire a car for self drive in Rwanda to explore the vast attractions in the land of Thousand Hills comfortably at the wheels. Not only is self drive the cheapest car hire option but also offers you all the freedom & privacy your deserve for that adventure you always dream of. We understand how fascinating it is to drive your self to a national park or around Kigali city with just a GPS to direct you and that’s why we can hire you a car suited for both the smooth city streets as well as the rough off-beaten Rwanda park tracks. Book your car with us today to enjoy a perfect self drive safari or business trip! Why Consider Rwanda Self Drive? A Self Drive in Rwanda gives you the freedom to enjoy your trip and makes it it easy for you tailor your own trip Itinerary. Africa Holiday Safaris is dedicated to give you the Ultimate car deals at discounted rates (when hiring a car for long term). 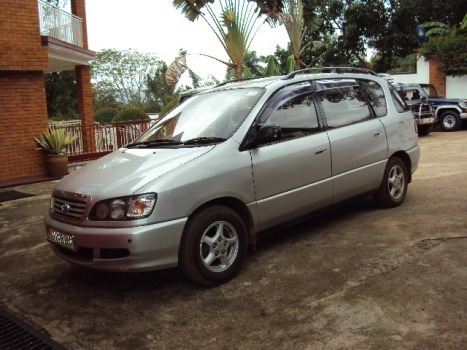 Our fleet of cars consists of saloon and 4X4 safari cars ideal for self drive safaris, we also have compact SUV minivan, we are ready to get you the car of your choice at the best rate , under favourable terms and conditions. With our fast booking process, you can reserve a car you want, anywhere and anytime and get your deal processed instantly. All the cars are in good condition, with AC and adequate cargo space in rear and roof racks , the Safari land Cruiser and Minivan are customised with a pop-up roof and fridge making them the perfect safari cars in Rwanda. Are you a wildlife lover or primates adventure enthusiast? Explore more on your adventurous journey with Rwanda self drive car hire option, a recommended Car rental choice. Discover some of our suggested self drive circuits you can take to explore the land of Thousand Hills. Nyungwe Forest in Rwanda is home to over 13 primate species and the best place to visit on a safari holiday for primates adventure tours. Tucked away in the middle of tea Plantations, the biggest mountain rain forest on this side of the African continent can be a bit deceptive in its vastness if you simply catch a glimpse of it from a far on a self drive trip. Nyungwe forest is probably the most preserved forest in Africa. Some say it is the most important site for biodiversity in Rwanda. It is home to over 1000 species of creation after all. Stop over and watch the bird species with beautiful sounds, park your drive and climb the forest hikes and canopy walks to explore more. Get more for less with Rwanda self drive from Africa Holidays Safaris. Our Car hire services extend beyond Rwanda and cross borders into Uganda as well. As the leading tour operator and car hire agency, enjoy the best self drive circuits in Uganda’s major destinations of Bwindi National Park and Mgahinga Mountain to trek the gorillas at a much lower price compared to Rwanda. Our car rates are by far the best and friendly rates in the region. We cherish to give you the best and memorable safari experience. What to Expect on a Self Drive Trip? From encountering the great apes, track the endangered mountain gorillas in Uganda and Rwanda, chimpanzees and Golden monkeys, Photograph the famous tree climbing lions, incredible wildlife, amazing water bodies and water falls, beaches, rafting, spectacular sceneries, in-depth traditional cultures, great foods, and yes, meeting the most friendliest people in Africa. Feel free to browse through Our Car hire fleet for a perfect Rwanda Self Drive Rwanda vehicle that suits your needs. If you can’t find what you are looking for or if you need any extra information related to self drive car rentals in Rwanda, please get in contact with us to discuss your needs. We are dedicated to give you the best self Drive cars for you with optional Car hire extras that you might need for your holiday self drive trip. Book a Self drive car with Africa Holiday and enjoy a fascinating journey full of adventure in Rwanda’s major tourist destination, the Volcanoes National Park. On your visit here, explore the home to the endangered mountain gorillas and engage in the gorilla trekking activity while staying in the best safari lodges and camping sites. Volcanoes national park is part of the great Virunga volcano conservation region spanning to cover Virunga national park Congo and Mgahinga national park Uganda. It was initially a small area around Karisimbi, Mikeno and Bisoke volcanoes which was gazetted to protect the Mountain gorillas which were facing the threat of extinction as a result of poaching. This is by far the perfect and recommended top spot for enjoying self drive circuits in Rwanda. Do you prefer to rent a car and drive your self around Akagera and Kigali city tours? you do not need to worry anymore, our Rwanda Self drive car hire services enable you to book for a car and explore the wildlife game in Akagera National Park, Rwanda’s wildlife destination. You can always book and hire safari vehicles anytime. We have the best recommended safari cars for Akagera game drives including; Safari Land Cruiser (With popup roofs), Extended land cruiser, safari mini vans, customized land cruisers. Hire a safari car with us and get around the park like a pro. 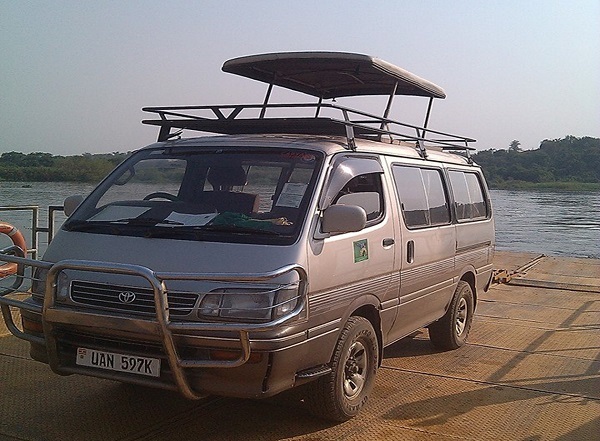 At Africa Holiday Safaris, we understand that at times, the budget for a traveler is trained, and that is why we bring you amazing offers on our self drive car hire fleet to ensure you save money and still get the best experience you always dream as you cruise around the land of Thousand Hills. Such discounted offers on a self drive help you to save money and perhaps use it to visit and donate to community groups in Rwanda, a boost to promote community tourism. Choose Africa Holidays Safaris for your self drive trips, we are reliable, trusted by thousands and very efficient with a dedicated spirit of delivering quality services to you.